The dining hall was also one of the original buildings. The room seats around 100 people. The students receive all their meals in the hall and the kitchen staff also cater to external groups. 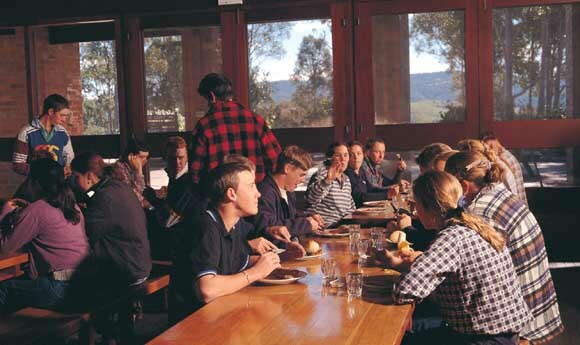 In any one day the dining hall might cater to students and guests in accommodation for breakfast; morning and afternoon teas for a number of groups spread throughout the campus; sandwich lunches for staff, a hot meal for the students, sandwich or finger food lunches for groups; as well as the student’s dinner. The dining hall is also used for special dinners occasionally and also produces packed meals for students who are away from campus.